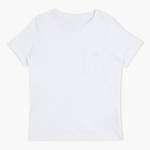 Simple yet alluring, this t-shirt is sure to add charm to the personality of your little champ. Along with a round neck and short sleeves for a comfortable fit, it has a patch pocket on the front to give it a smart look. 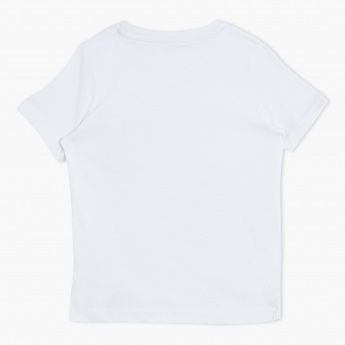 This lovely t-shirt can be paired with any trendy jacket to give your kid a modish look.